This is a teaser movie about a couples amazing journey by foot through Africa. An amazing journey and an unforgettable adventure. I had hoped that this year I would finally go spend some time surfing at skookumchuck narrows. I had a bunch of mates keen and the flows sorted (it is a tidal race, which makes the sea a river). But three days out everyone pulled out for unforeseen reasons. Not happy to paddle the huge rapid by myself with the Trak. So I changed plans I wanted to now head to Squamish to run a river in the Trak kayak, namely the mighty “Elaho River”. “Maybe next year for the Skookumchuck rapid!” I’d been saying that for the last 6 years. John Butler Trio Live at Red Rocks! For any of you who Don't know the John Butler Trio (JBT) from Australia, here is a great video of there concert in Colorado. I love this guy and want people who may never have seen or just love to see this amazing musician play, do so. This past winter in Phoenix really kicked for water levels, I was bummed to not be there for it. This is a couple of guys, Hut and Paul, who I paddle with in AZ making the most of it. My heart pounded in my throat. My pulse raced. I carried a flimsy aluminum frame wrapped in a plastic impregnated canvas down to a surf beach. 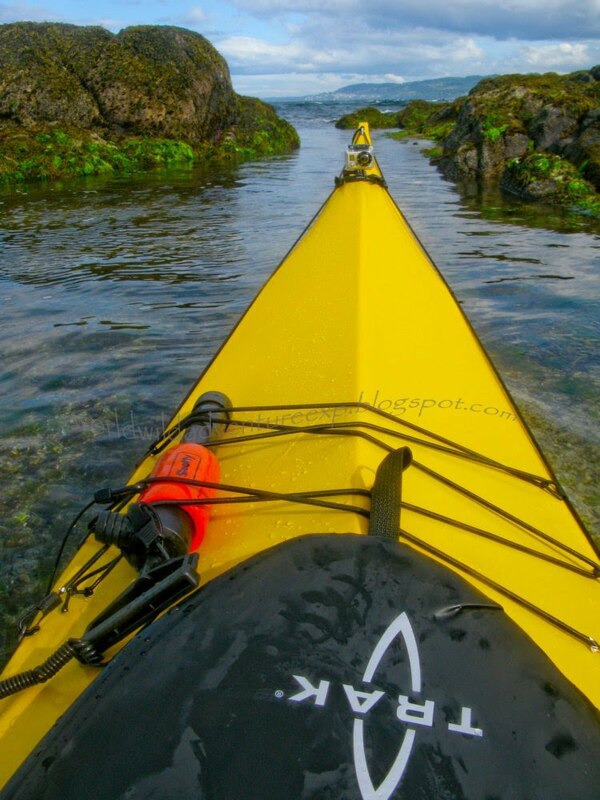 It looked like a sea kayak, and paddled like a sea kayak, weighed about the same as a fiberglass sea kayak, though it folded up into a golf bag. Am I sane? I asked myself as I climbed into the cockpit, fastening the spray skirt amongst the swirling shore surge. I looked forward at the surf rushing in towards me with walls of ravenous white water. What’s the worst that can happen? I again rhetorically queried (not really wanting to know the answer). My mind was swirling like the foam in the shallows around me. I was about to take my Trak kayak out into the surf for the first time, and my doubts of it sea worthiness came leaping into my head and my instincts, though I Had to test what it could do and take. “Let’s see what you are made of!! !” I exclaimed and pushed off into the surf as the next surge lifted the boat clear of the sand. I have had my hands on the Trak for a week now. And I have been very impressed by its pack ability, ease of set up and break down and how well it paddles in average conditions. I managed to get a bit of storm swell surfing on the inside passage of Vancouver Island and I was impressed by its speed. But could it take a thrashing on the open coast?? Updates on my "'Yak about the world" are up on my other site. check it out!